I now have a new room. It's been a bit mad recently - I went to London, had a day of activities at Royal Holloway, left for Berlin the next day, spent a week there (which I will write a separate post on), then spent a week in Gottingen (also in Germany), returned to Edinburgh from Bremen, had one night there, packed my university bag, went to Leeds to see my sister (she has just moved there for her Masters) then to London the next day, new room, and first day on my new job the day after. I signed up to a bunch of new societies and met lots of lovely new people. Tomorrow I will sleep in, do some vintage shopping, have a work phone call and meet my team from the Global Leadership Programme to sort out some more plans for the exhibition in November. My university course officially starts back on Friday, and I am a little apprehensive about the expectations for the dissertation, but excited to get back into things. Hopefully I will develop my disposable camera this week - which has some pictures from Germany on there - I will share some on here. I am still in the seemingly impossible process of sorting out all of my computer files, which are a mess - and somewhat resemble my brain right now. Once I have those things sorted, and have made my room a little more pretty - I could post a uni room tour as well as all the other posts I have been meaning to write. 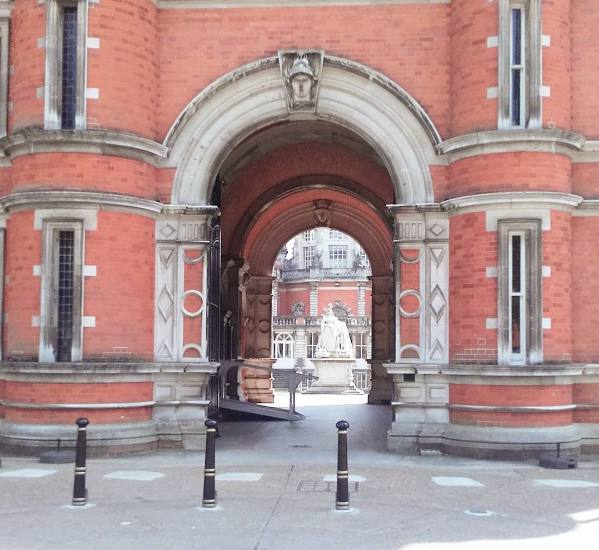 I think I might write a Royal Holloway specific post, and maybe something on media careers etc. Let me know what you think and what you are particularly nosey about (ha). Will be posting music that I like at the moment / other favourites in the next days - before I get properly back into uni mode.